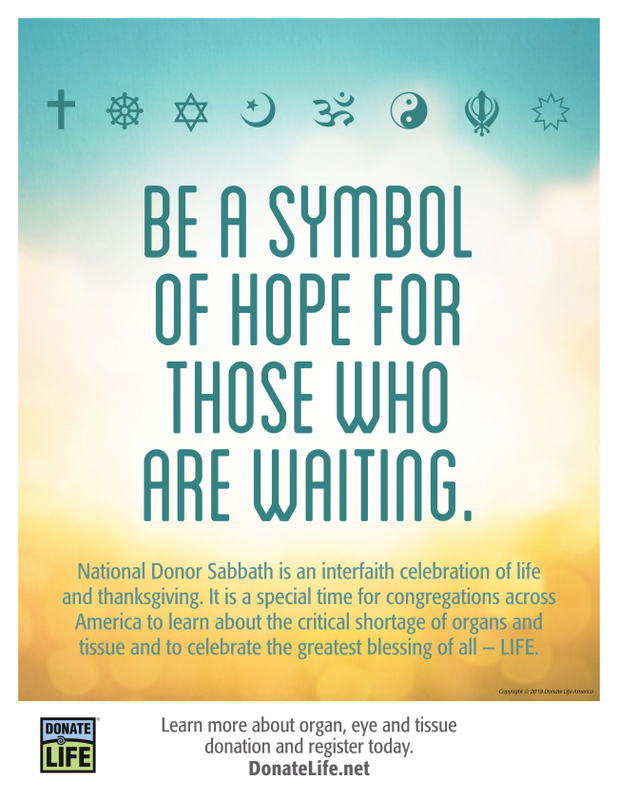 In recognition of National Donor Sabbath, we invite you to a special presentation. Join us on Saturday, November 10th for shabbat services beginning at 9:00am and ending around Noon with a Kiddush Lunch. David H. Rosmarin, PhD , director of the Spirituality and Mental Health Program at McLean Hospital, who brings the clinical and research perspective. Rabbi David Finkelstein will serve as moderator. Free of charge; all are welcome (donations appreciated). 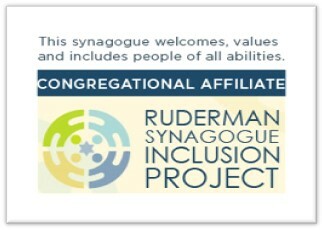 Thank you to the Ruderman Synagogue Inclusion Project for supporting this event. In order to properly prepare please click here to sign up. The cost to provide our Kiddush lunch for our usual attendance of 30 to 40 people is about $150. To ensure that we can continue providing Shabbat lunches into the future, we ask those who attend Shabbat services regularly to sponsor a Shabbat lunch once or twice during the year. Led by Aki Yonekawa, our monthly children's service includes singing, storytelling and movement and provides an opportunity to meet other families in the greater Waltham area. Children join the main service for Adon Olam, and the congregation then enjoys kiddush, challah and a light lunch. 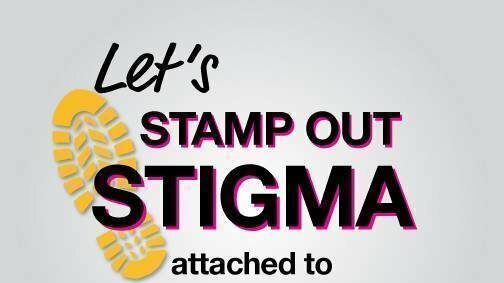 The program is geared for children ages 2-7 but all ages are welcome. TBI services and events are open to the community and membership is not required to participate. Temple Beth Israel provides babysitting every Shabbat from 10-12. We have a large, carpeted playroom downstairs with a variety of books, toys and games and sufficient space for both quiet and active play. Children are also joyfully welcome in the main service and often move between the playroom and services. For more information about children's programming, please contact the TBI office at (781) 894-5146. 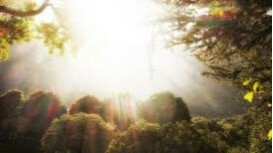 With the help of Wilfred Shuchat’s book, The Garden of Eden & the Struggle to Be Human According to the Midrash Rabbah , we will explore and investigate the Biblical text, practice our own rabbinic close reading skills, and explore rabbinic homilies on chapter 2 of the Book of Genesis ( Bereishit ). All are welcome, Jew and non-Jew, veterans of midrash and beginners alike. 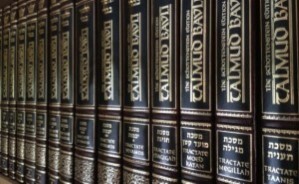 Beginning in Fall 2008, Professor Jon A. Levisohn of Brandeis University collected 25 responses to the question, “What are the Talmudic sugyot (topics or discussions) that every Jew ought to know, the most famous or significant Talmudic discussions?” The sugyot were chosen “for their theological and ideological significance, their contemporary practical significance, or their centrality in discussions among commentators. Or in some cases, perhaps their idiosyncrasy.” In this long-term learning project, I hope to learn every one of the 67 sugyot in the list. Let’s take the journey together. We’ll learn slowly and deliberately, taking one discussion at a time. There’s no rush. All texts will be provided in the original language (Hebrew and/or Aramaic) and in English translation. All are welcome. No prior familiarity with Talmud required. 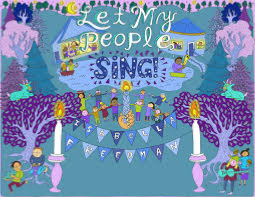 Hashmi’ini means “let me hear” from the verse in Song of Songs, Hashmi’ini et qolekh, “let me hear your voice.” Inspired by Joey Weisenberg's book Building Singing Communities , this group offers an hour of singing wordless tunes while sitting in a circle. In each session, we learn to sing and then explore one song or niggun (wordless Jewish melody), singing it approximately ten times and in as many different ways. All are welcome: seasoned musicians, musicophobes who were scarred long ago by snooty music teachers, and everyone in between. The Singing Circle emphasizes learning, participation, and musical community over “the right notes.” Meetings will occur on the Shabbat afternoons listed above. We will be holding several programs during the week of Chanukah to rededicate the Temple Beth Israel Sanctuary. 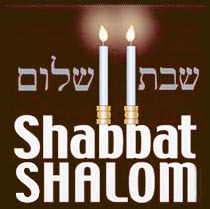 One will be a special Shabbat Dinner on December 7th. To start the celebration, Join us on Sunday December 2nd in the afternoon at 1for a concert with Hankus Netsky featuring songs and sketches from the “Yiddish Radio Show” with Ben Gailing (1898-1999) on what would have been his 120th birthday. Gailing hosted the Yiddish Radio Show in Boston for over 60 years. At services on Rosh Hashanah and Yom Kippur, Rabbi David invited everyone to meet someone new. We want to hear your stories... Help grow the TBI community by emailing a paragraph or two about the new friends you met on the High Holy Days to rabbidavid@tbiwaltham.org . If you brought friends to a service, could you forward this email to them as well? We would love to hear their stories about meeting us, too. · For an Individual Membership, the sustaining amount is $575 for membership + a voluntary $200 High Holy Day Pledge. · For a Family Membership, the sustaining amount is $1150 for membership + a voluntary $400 High Holy Day Pledge. We welcome all members to give at a level in which they are comfortable and ensure the congregation will meet its budgeted expenses. In addition, this year we will be inviting members to make a one-time pledge toward synagogue renovations which can be paid over two years. Thank you for your continued generosity. 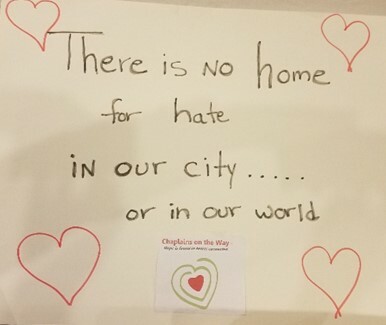 Temple Beth Israel has set up a GoFundMe.com page to receive donations. Please share this site to help us reach our goal and continue our renovations.